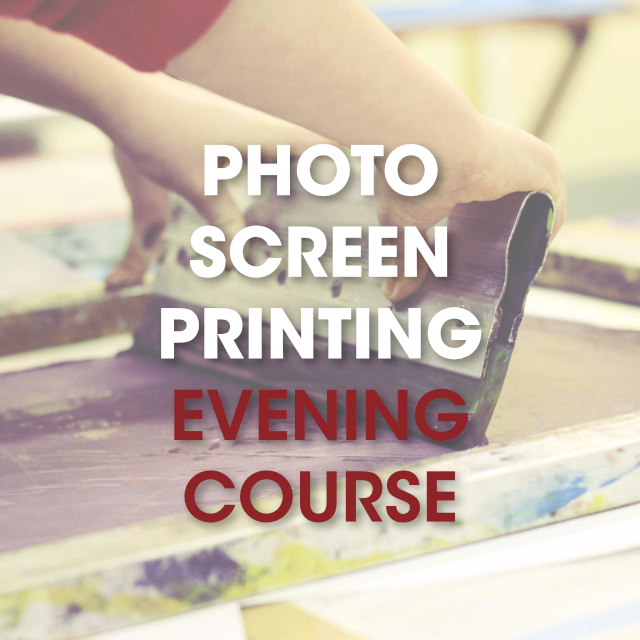 This 4 session course introduces and explores photo screen printing. You will have the opportun­­­ity to translate digital designs, collages, illustrations and photographs into screen prints . You will learn how to print two colour designs onto card stock and single colour designs onto textiles and card stock. There will be a range of fabric, papers, card, tshirts and tote bags for you to use within the course fee and you will be encouraged to explore and experiment printing onto different materials. In addition to the screen printing itself, you will also learn other important steps required in order to make successful prints including coating and reclaiming screens, exposing and preparing screens and mixing inks. The course is a good introduction to screen printing and allows you to get to grips with a basic understanding of the process. It is also a great starting point to show you how simple it can be to build a basic screen printing set up in your studio or at home. The course is suitable for ages 16 + including complete beginners through to more experienced artists and designers wishing to broaden their practice.